Some days I feel like this. Then this article popped up in my feed. Yes. I so agree. 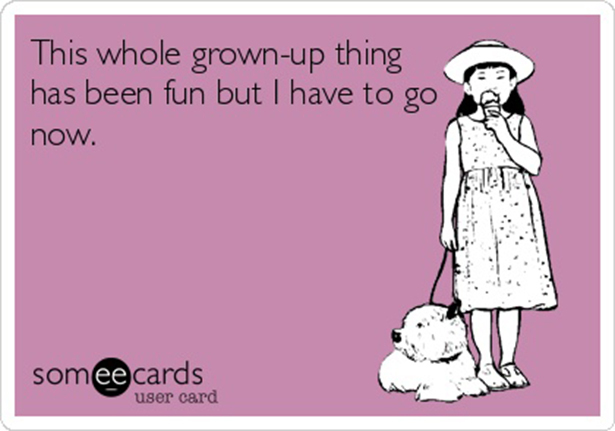 Somedays I am just over this adult thing.